Currently the Bavarian Club takes the first place in the league with 21 points from 9 games and unexpectedly, Borussia is just one position over the relegation zone with winning only 7 points from their first 9 games. Both teams played during this week in DFB Pokal (Germany Cup). Bayern won against Hamburger SV with 1-3 and Borussia won at St.Pauli with 0-3. This is probably one of the most classic games for Bundesliga. FC Bayern Munich against Hamburger SV at Allianz Arena in Munich. After the usual winter break in Germany, the Bundesliga is back this weekend for the first time in 2015. On Friday it starts with an amazing derby between the leaders in the table Bayern Munich and VFL Wolfsburg. Having finished with their European games for this calendar year, Borussia Dortmund and Wolfsburg are focusing back on the domestic Bundesliga. On Wednesday night VFL Wolfsburg will travel to Signal Iduna Park in Dortmund for the 16th round game in the Bundesliga. Other than prestige, there’s not much for Bayern to fight for in this season in Bundesliga. They’ve already secured their title. Meanwhile, Borussia wants to finish second and with Schalke three points behind they need results to fulfill their aims. Every league has its own yo-yo team, wandering around their first and second tier. Too small for one, too big for the other. And every such team has its own method of casting off this legacy and making it to a status of top flight perennials. Bundesliga returns this weekend and to kick-off the return, 3rd placed Gladbach plays host to current title holders Bayern Munich. Although this game does not pose a threat to Bayern’s title race, but I’m sure Bayern would go all out to keep their unbeaten run going. Following the conclusion of European World Cup qualifiers, Club football resumes this weekend with one of the biggest games in Europe which features Current League leaders B. Munich as they travel to face long time rivals B. Dortmund for the first time this season in the Bundesliga. This Friday, Dortmund and Bremen seek to put the squad into real test as both teams rank top of the table with 6 points. Interestingly, Dortmund and Bremen both overcome Augsburg and Eintracht Braunschweig in the first 2 rounds. FC Schalke 04 are billed to host Borussia Dortmund this Saturday in the German Bundesliga. This bout will see current cup holders (Borussia Dortmund) try to retain their title, since winning the Bundesliga this year is far from reach. 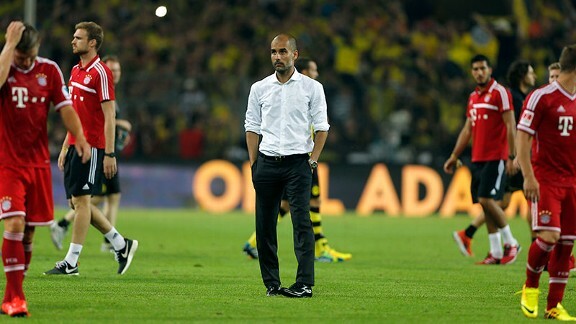 Both teams met at the finals in this competition last season, and Dortmund emerged winners in that fixture with an emphatic 5-2 win over Bayern Munich. A win for Borussia Dortmund will see them climb one step higher in the league table, and anything less than 3 points might see Bayer Leverkusen lose its 2nd place position; as only a point separate both teams. This fixture can be regarded as the biggest this weekend. Even though Leverkusen are the current reigning champions in the Bundesliga, it would take a miracle to retain that title this season, as they trail behind current league leaders ‘FC Bayern Munich’ with 11 points.